Novo Nordisk said it will eliminate 400 R&D employees in its headquarters country of Denmark and China, in a restructuring the company said was designed to accelerate the expansion and diversification of its pipeline across serious chronic diseases. The 400 represent less than 1% of the 42,682 employees in 79 countries that Novo Nordisk said it employed at the end of last year, according to its Annual Report 2017. Under the restructuring, Novo Nordisk said, the company’s R&D activity would be carried out in four satellite centers or “Transformational Research Units” to be established this year, with the goal of developing novel treatment modalities and platform technologies. One of the four new Transformational Research Units will be established in Indianapolis. An additional unit will be created in Oxford, U.K., and two units will be created in Copenhagen, Novo Nordisk spokesman Ken Inchausti told GEN.
“The changes are starting today, and we will continually assess how to evolve these units. But we do not anticipate these changes occurring again in the foreseeable future,” Inchausti said. Copenhagen is located some 12 km (about 7.5 miles) southeast of Novo Nordisk’s headquarters in suburban Bagsværd, Denmark. 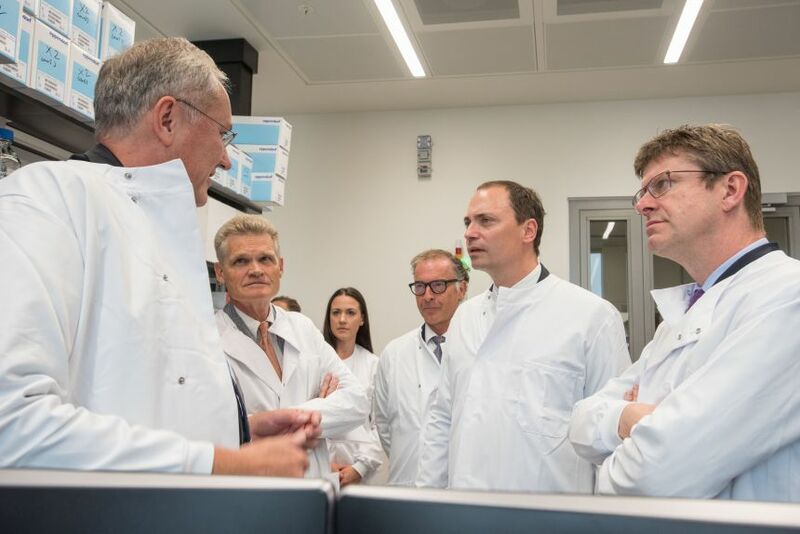 Novo Nordisk described the new research units as “biotech-like” satellites of Novo Nordisk's central R&D function and will drive innovation in priority fields such as translational cardio-metabolic research and stem cell research. The new units are one of several initiatives Novo Nordisk said it will undertake in its R&D restructuring. The company plans to establish a new Business Development unit in Cambridge, MA, in order to facilitate external collaborations aimed at identifying and developing “truly innovative” drug candidates based on new therapeutic approaches. In addition, Novo Nordisk said it will “significantly” increase its spending in automation and digital capabilities, including machine learning and artificial intelligence (AI)—and will work to boost the efficiency of its R&D organization by giving priority to the integration of laboratory infrastructure and IT systems. The layoffs come one week after Novo Nordisk officially opened its Novo Nordisk Research Centre Oxford in Oxford, U.K., trumpeting plans to create 100 new R&D jobs by spending £115 million ($151.3 million) over 10 years there. The company eliminated 1,000 jobs worldwide in 2016, a cost-cutting move the company blamed on “a challenging competitive environment in 2017” given growing competition in diabetes products and growing efforts to contain prices as insurers increasingly balk at covering costly new treatments. Also in 2016, Novo Nordisk updated its R&D strategy to focus on four core areas—diabetes, obesity, hemophilia, and growth disorders—while expanding into other serious chronic diseases with high unmet medical needs and market attractiveness. The company defined those diseases as cardiovascular disease (CV), non-alcoholic steatohepatitis (NASH), and chronic kidney disease (CKD), and said it would expand into these areas through additional indications for its type 2 diabetes drug Ozempic® (semaglutide).